Ensuring continuous services is essential for electric cooperatives, oil and gas companies, and other energy sector organizations because thousands of businesses and consumers depend on the power and heat they supply. 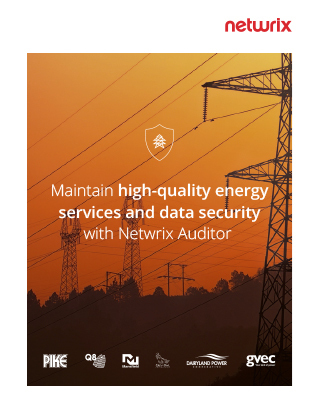 In addition, energy utilities often handle many types of sensitive data that require protection and they also need to comply with a variety of laws and regulations. How can you clean up your directory service to reduce the risk of account or privilege misuse? How can you make IT operations more efficient and improve user accountability? How can you quickly spot attacks that threaten sensitive customer information and your own proprietary data?